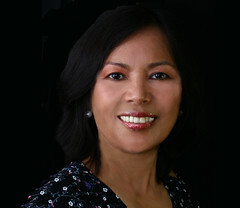 Cecilia S. Sicam is a mother, teacher, autism advocate and founding member of Autism Society Philippines. She has served ASP in various capacities since 1989, including board secretary, Executive Director, President from 2002 - 2004 and is currently the Vice President of ASP National. She has been a special education teacher for more than 20 years and is currently the Directress of Bridges Foundation, Inc., a school for children with special needs. Her 31 y/o son Likas, with autism, is a self-supporting full-time regular employee.